For decades Slatile Roofing and Sheet Metal Company has continued to be Michiana’s leader in large and historical masonry projects. 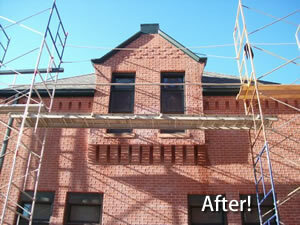 Fill out this quick form to receive more information on our masonry services. 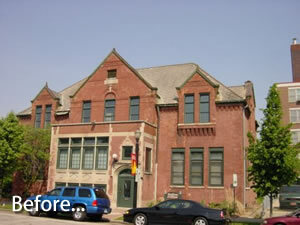 We are approved by the National Park Service Landmark Restoration program and feature a large list of specialties. Our professional and experienced staff uses all of our own equipment including scaffolding, Bosun’s Chair Systems and swing stage assemblies to make sure your job is completed efficiently and with the utmost care.